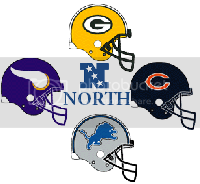 It's an all out arms race come the NFC North, between legends and new heroes. Will the old man bring the Purple People Eaters back to the top and give them the boost needed once again? Will the man who replaced the legend tear the monkey off of his back and beat the man who trained him? Will the Windy City savior be able to elevate the game of the sparse receiving corps around him? Can a young running back improve the play of a second year QB just looking to have a break out season? It's all within the pages of the NFC North. There was much fanfare upon Jay Cutler's arrival on Chicago last season. The first real quarterback they've had since Jim McMahon (sorry Kordell Stewart). He would lead them to the promised land. Turns out, with a lack of receivers and the severe disappointment of running back Matt Forte, the savior turned sour extremely quickly as the Bears stumbled out of the gate and never really re-gained their footing, getting lost of the woods of the NFC North. Cutler had some players emerge for him last year. Johnny Knox proved to be a reliable option and Devon Aromashodu, along with Devin Hester, turned out to be nice spot receivers. The problem is that none of these players turned out to be the impact receiver that the Bears really need to take their offense to the next level. Perhaps helping alleviate some of the pressure on Cutler is the off season signing of running back Chester Taylor from the rival Vikings, giving Matt Forte some time to rest and perhaps some more yardage in the long run. Further, the addition of Mike Martz as offensive coordinator could either be a boost or boom for the Bears. Also acquired in the off season spending spree for the Bears was Julius Peppers. Coming over from the Carolina Panthers as a free agent signing, he joins a Bears defense that on paper looks dangerous. He joins the likes of Lance Briggs and Brian Urlacher to form a defense that, when healthy, is one of the better in the league. The key is when healthy, as injuries bit the Bears in '09, dropping them hard. Their 23rd ranked rush stoppage was especially damning, as the 126 yards allowed per game let the opposition control the clock and wear them down, bringing the Bears more losses than wins. The Bears have made some good moves, but they're missing the splash they need to compete in a tough NFC North. There were questions about his future after the jump. He made the touch down, yes. He got the seven and that was the thing that mattered to him when the play happened. However, he did not get up. He was down with a concussion and a bad neck after hurtling over an Oregon State defender for a dazzling touch down that ended with Best on his neck and back in an extremely awkward position, his helmet flying off. He got the seven and missed the final four games of the season before declaring for the NFL Draft and being taken by the Detroit Lions. Best should be a shot in the arm to the run offense of the Detroit Lions, who ranked 24th in the league and didn't have a running back break 750 yards rushing. He'll be a fantastic compliment to Kevin Smith, giving the Lions a complete offensive arsenal given Matthews Stafford's likely maturation. After starting 10 games in 2009 and averaging around 226 yards passing per game, Stafford is back with more experience and new weapons on Best and free agent acquisition Nate Burleson, the perfect compliment to the freakish Calvin Johnson. The offense is one to watch out for. The defense on the other hand... that's another story. The defense of the Lions in 2009 was bad. Very bad. On top of allowing almost 31 points per game to the opposition, they ranked 32nd in pass opposition and 25th in rushing defense. 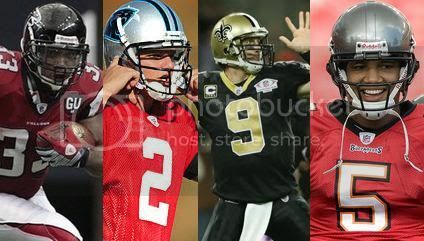 They look to rise up in 2010, with the catalyst for change being their 1st round Draft pick Ndamukong Suh. With him taking up space in the middle and getting pressure on the quarter back, they hope the defense will improve over it's utterly putrid numbers from last season. Will there be improvement? No doubt. Will it be enough? Not yet. They're getting there, though. No one wants to follow up a legend. They say don't be the guy after the guy. Aaron Rodgers was the guy after the guy, taking over for Brett Favre in 2008 after his retirement/trade to the Jets. He was not afraid to be that guy. Since taking the reigns all he's done was pass for over 4,000 yards every year and throw for no less than 28 TDs in either season. And he's never thrown more than 13 INTs in either of those years. No one wants to be the guy to follow the guy. Except for Aaron Rodgers. There is far from a lack of weaponry for Rodgers to work with. Leading receiver Greg returns and looks to get even more touches after second leading receiver Donald Driver, who caught passes from the original guy, had both knees scoped and looks to take less time catching balls. Not to worry, though, as Jermichael Finley will see more action as well. Also, Ryan Grant returns after 1,200 rushing and accounting for 11 touchdowns. Perhaps the biggest missing piece of the puzzle on the offensive side for the Packers is a complimentary running back. In a two back league, the Packers rely on Grant alone. So far it's work, but will it continue? They're a sneaky bunch. You don't figure them to be a defense as good as they are but by God if the Packers defense isn't near elite. The top rush stopping team in the league, allowing only 85 yards per game, they were also the 5th ranked passing defensive squad. Gathering a total of 30 interceptions all season, including 9 alone from Donald Driver, the Packers look to continue to make a run on the offense and dominate on defense in 2010. You can call him many things. You can call him legend. You can call him grandfather. You can call him Super Bowl Champion. You can call him MVP. You can call him the Best Ever. You can even call him a flip flopper. What ever you call him, don't call him done. Brett Favre returns for the 2010 season with expectations like never before heaped upon his 40 year old shoulders. It's entirely likely he will meet most of them. Can he meet the big one? The only way that last season could have been better for Favre and the Vikings is if they'd won the Super Bowl. Unfortunately that was not to be the case. The perfect storm that was 2009 gave Brett the itch going into 2010. However, things are already off to a bad start. Key and leading receiver Sidney Rice is out six weeks after hip surgery. Big play maker Percy Harvin is having migraines. Has Adrian Petersen solves his fumble problem? Can rookie running back Toby Gerhart be the change of pace back that can replace the departed Chester Taylor? The magic seems to have worn off... or has it? The defense, behind Jared Allen and the "Williams Wall". It's a year older and that's not necessarily a good thing for the Vikings. However, it makes the hunger greater and more immediate. Should the offense falter, should Favre throw more than a handful of interceptions and should Petersen put it on the carpet of the Metrodome, the defense will more often than not be able to stop the opposition from capitalizing on the mistakes of the other side of the ball. The weapons in Minnesota don't just lie on the offense, you see.